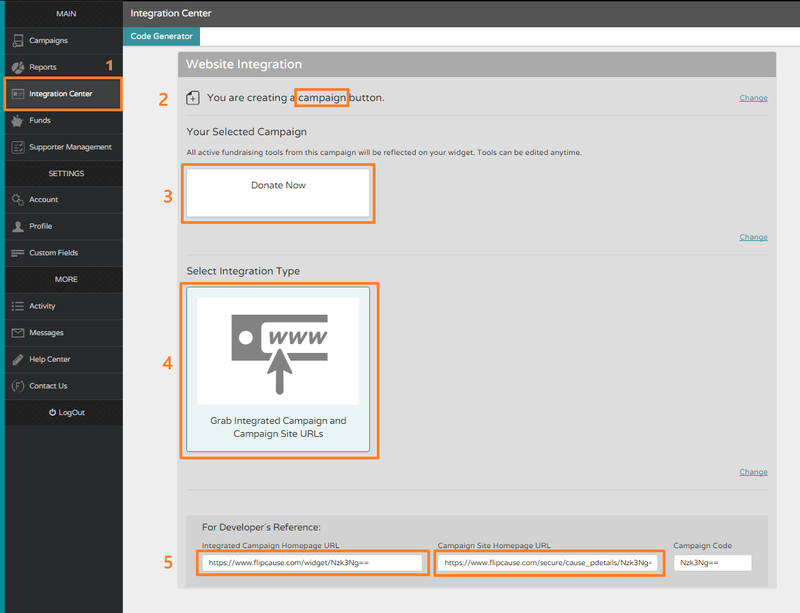 You can find the link to any campaign (or campaign menu) you've created by going to the Integration Center on the main navigation of the Flipcause Dashboard. Once there, click on "Campaign" and then select the campaign you want to add to your newsletter. After you select the campaign, you'll be presented with 7 different Integration Styles. Click the last one on the list which says "Grab URLs", and this will reveal the links to the campaign. If you're unsure which of the two URLs to use, you can copy and paste each one into your browser and and see which one you would prefer. You can also get the link to the Campaign Site from the Campaign Editor. You can click the "Preview Integrated Campaign" at the top in the Campaign Editor, and this will open up a new browser window or tab, and the URL you see there is a direct link to this campaign site that you can share with your supporters.